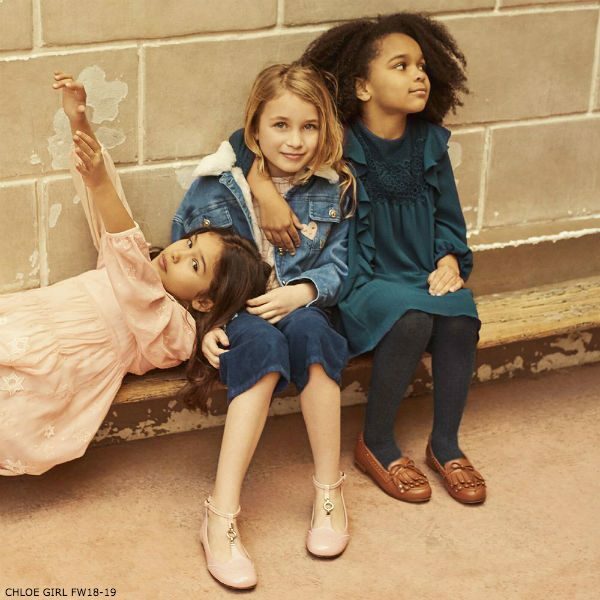 Love this CHLOÉ Girls Mini Me Blue Couture Dress for Fall Winter 2018-19. French fashion house Chloe, known for its feminine modern classics, has designed this adorable Mommy & Me Look inspired by the Women’s Collection at Paris Fashion Week. Girls will look just like their mommies in this lovely teal blue dress made in crêpe gaufré. It has a viscose twill lining and is beautifully decorated with soft ruffles and floral lace detail. Complete the look with a pair of Chloe brown leather moccasin shoes. Unfortunately, this CHLOE Girls Mini-Me Blue Couture Dress is not currently available. You can shop for similar CHLOE Girls Dress from the current collection online.